The paperback edition can also be found at Amazon.com, as well as a limited number of audio books. Could the appearance of dragons in the myths and legends of every known culture on earth indicate that such creatures did coexist with mankind? In his adventure novel Journey into Legend, author Dr. Henry Schreiner weaves a tale of suspense and intrigue based on the mystifying—yet well-documented—existence of “living fossils.” Star quarterback, Brad Conner, rehabbing from a knee injury, takes a job working for the Keeling Expedition, headed by the brilliant, yet controversial paleontologist, Professor, James A. Keeling. Danger and suspense overtake the expedition as their quest leads them deep into the menacing depths of an unexplored cavern in the heart of the Burmese jungle. When Brad must face terrors that he cannot control, his journey becomes more than a search for the truth about legends; it becomes a test of his faith in God. Terror, tragedy, and romance come alive in this spellbinding story of contemporary science attempting to unravel the legends of the past. 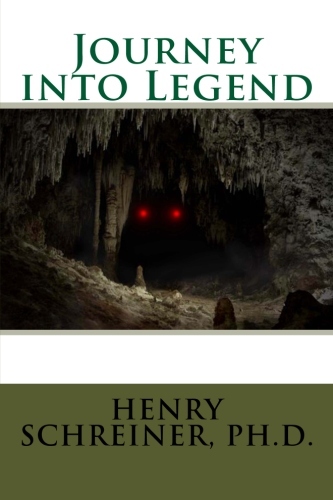 Readers of all ages will enjoy the author’s unique blend of humor, action, and suspense; it is guaranteed to keep you reading to the mystifying conclusion. From the campus of a major university to the steaming jungles of Burma, join Brad Conner and the members of the Keeling expedition as they begin an unforgettable . . . Journey into Legend.